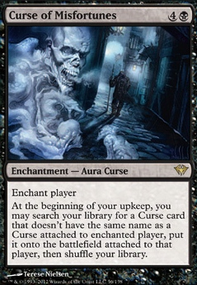 Open the Vaults with curses. What can card:Bounty Hunter destroy? 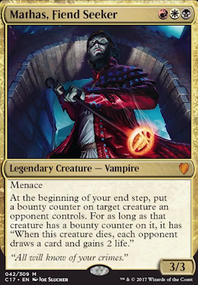 Menace At the beginning of your end step, put a bounty counter on target creature an opponent controls. 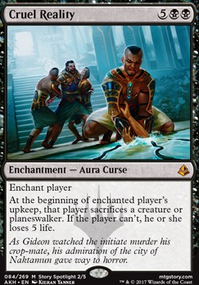 For as long as that creature has a bounty counter on it, it has "When this creature dies, each opponent draws a card and gains 2 life." cdkime on What can card:Bounty Hunter destroy? 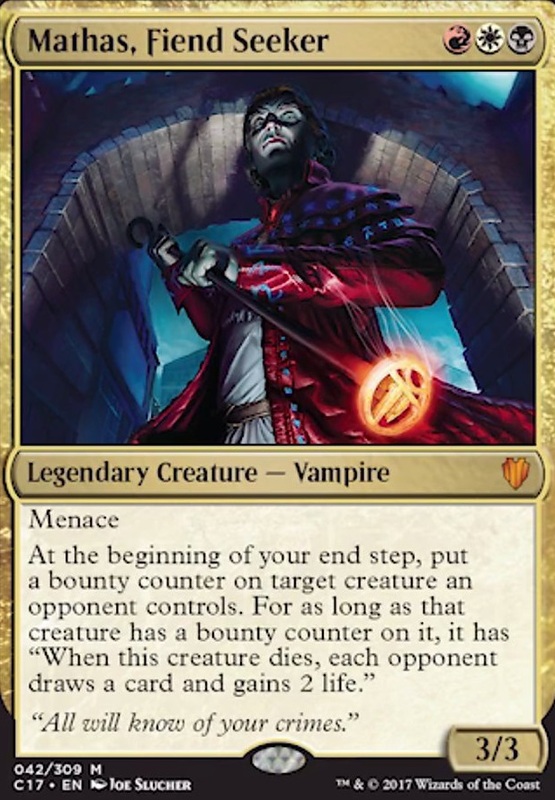 Just to build a little bit off what Kogarashi said, notice how Mathas, Fiend Seeker says "for as long as that creature has a bounty counter on it" (emphasis added). 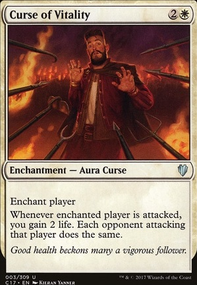 The issue is not Mathas' bounty counters being "unique", but rather that the death trigger is tied to "that" particular creature. It's one of those instances where a single word in an ability makes a drastic difference in its effect. 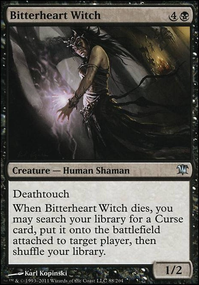 Kogarashi on What can card:Bounty Hunter destroy? The bounty counters placed by Mathas, Fiend Seeker are identical to those placed by Bounty Hunter , in the same way that +1/+1 counters placed by two different sources are the same as each other. 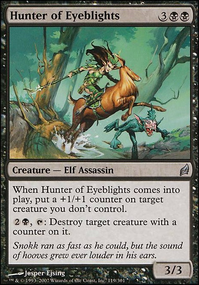 If Mathas, Fiend Seeker places a bounty counter on a creature, Bounty Hunter can destroy that creature (assuming it isn't indestructible or otherwise has some form of protection). MESS1802 on What can card:Bounty Hunter destroy? 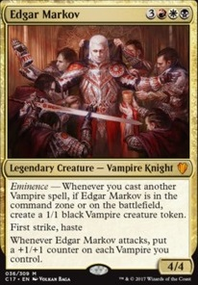 I want to know if Bounty Hunter would have ANY use in an EDH deck commanded by Mathas, Fiend Seeker . 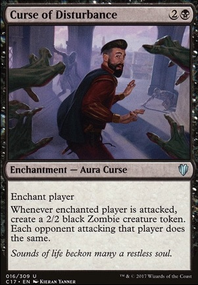 Because I know the rulings for Mathas say only specifically his bounty counters give creatures the triggered ability. 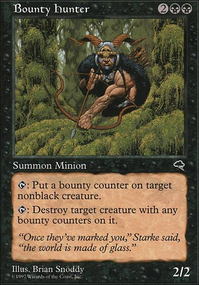 But can Bounty Hunter at least destroy creatures that are given bounty counters from Mathas, or are his bounty counters unique like those given by Mathas, Fiend Seeker ? The_Fallen_Duke, thanks for the advice! 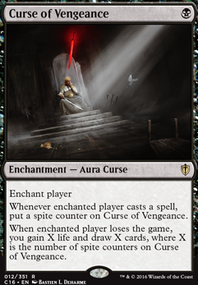 Curses are the primary focus, although the deck is less about politics and more about bleeding out opponents while preventing them from hurting me. 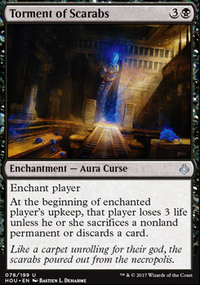 Effects like Ghostly Prison neutralize go-wide and token strategies, while the more Stax-y sacrifice effects take out large, individual creatures. 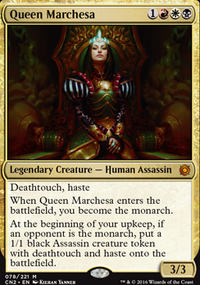 Assemble the Legion gets much, much stronger as the game goes on, and this deck very much wants to drag the game out. 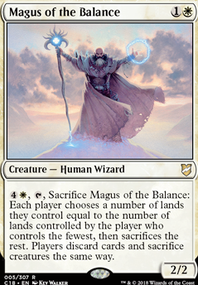 Mogis, God of Slaughter fills the role of a big, dumb creature that drains my opponents' life and denies them creatures. Bounty Hunter actually combos with Hunter of Eyeblights , Kulrath Knight , and Mathas, Fiend Seeker himself, who uses the same kind of counter. 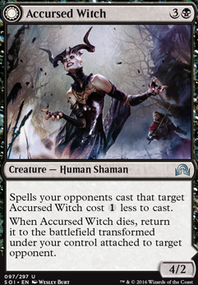 There's also some other cards that fit into this sub-theme, like Orzhov Advokist and Curse of Stalked Prey . 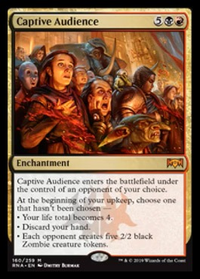 Since the deck is focused on draining life from my opponents, any form of repeatable lifegain puts me at a disadvantage. Tainted Remedy pretty conclusively deals with that. 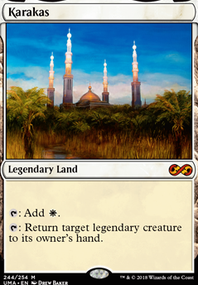 Of course, even if those are my reasons for putting these cards in, there's no guarantee that doing so actually works in the long run. 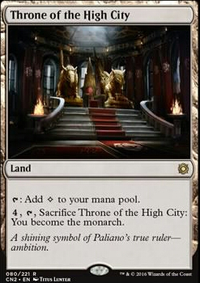 I'll definitely look at cutting out some of the less useful removal.